GM has announced major changes for the SUV Family starting in 2014. The new approach will be revolutionary, and will attract not only the faithful customers of the company but also the new clients, who are looking for an exclusive car. Chris Hilts, the creative manager of interior designs for General Motors says that all the GM SUV models will have a different concept in the future. While in the past, the models “borrowed” concepts one from the other, the new models will be different. 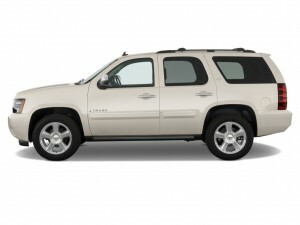 Thus, you will be able to distinguish the features of a Chevrolet Tahoe from Suburban and GMC Yukons’ ones immediately. Undoubtedly, the Cadillac Escalade remains the pride of GM. Still, it is a top-notch model designed for the most exclusive clients. Even the material will be changed, so the new interiors will have instruments panels, new consoles, and unique design elements. The latest technologies will be used, bringing the GM vehicles on the first places of customer’s preferences. Hilts also explains the reason for the new strategies. It is about targeting a new category of clients, the ones that need refinement and exclusivity. It is true that this was the concept of the company for ages, but with this different look, it is expected that new clients will be attracted. The general opinion is that the GM SUVs need a new look, and the change will start with Silverado and GMC Sierra interiors. The clients today want to feel like being inside a truck, and this is what GM is trying to achieve. Today, GM continues its researching. Hilts says that they know exactly what changes are needed for GM concepts. In any case, the new buyers of GM SUVs will have a completely new experience while driving the exclusive cars. GM is targeting a large category of clients. The buyer of a $85,000 Escalade will look for a superior experience compared to the one of driving a $45,000 Tahoe. The 2013 panels of Tahoe, Yukons and Escalade will be the same, but for 2014, each model will have its exclusively designed panels, so each brand is distinguished on the streets, also in the way of driving experience. Hilts admits that the brand differentiation was not the strongest point of General Motors, and this is the goal for 2014. The new generation of SUVs will give the buyers exactly what they expect for their money, so that they will feel that the cost difference between a Tahoe and an Escalade is fully justified. As for the exteriors, major changes are also expected for 2014. Currently, a Chevrolet and a GMC SUV look about the same, and the changes need to start with the front-end styling. 2014 will be the year of GM new concept: customization. Each model of GM SUV will benefit from those changes, and if everything goes as planned, it is expected for the company to regain its place as the most important SUV manufacturer in the world.